Wristbands with a message will help you raise awareness. Around 18.8 million people in the US have been diagnosed with diabetes, and experts estimate that another 7 million people have the disease and have not been diagnosed. An additional 79 million Americans have pre-diabetes and are at risk for developing Type 2 Diabetes. Type 2 Diabetes is often caused by low insulin production or difficulty processing insulin, which causes a dangerous rise in blood sugar. 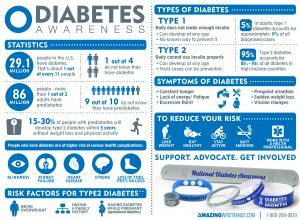 November is a National Diabetes Awareness Month. Many groups organize events for this important cause. 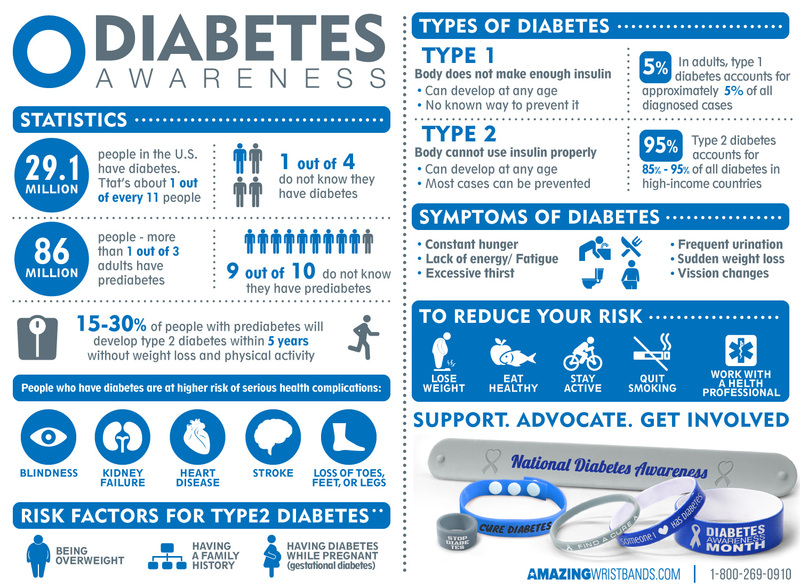 Diabetes Awareness wristbands are a popular part of awareness activities. The recognized awareness color for diabetes is gray, and red is sometimes also used. When you create custom diabetes awareness bracelets, you can use any color you like, and can even create color combinations where gray is swirled or segmented with another color. You can also put any diabetes awareness message. In addition to standard size, we also offers super popular slap bands that “snap” to a person’s wrist, as well as thin half-inch bands, thicker one-inch bands, adjustable bands, USB bands, silicone rings and silicone key chains. All our silicone products are comfortable, durable, and non-allergenic.